​Much like a stale chocolate pie, forgotten behind the dusty window display of a rundown neighborhood pastry shop, the industrial building that once housed the famous FIX Greek brewery, a fine example of post-war industrial architecture, the creation of renowned architect Takis Zenetos but now deformed, has just opened its doors to house the collection of the Greek National Museum of Contemporary Art. The renovated (or maybe destroyed?) industrial FIX Brewery building that today houses the Ntl. Museum of Contemporary Art. The museum’s inaugural exhibition, “Urgent Conversations: Athens—Antwerp,” opened on October 31 and will be on view through January 29, 2017. The show is described as “a reflective dialogue” between the collections of the new Greek museum and the Flemish Contemporary Art Museum in Antwerp. 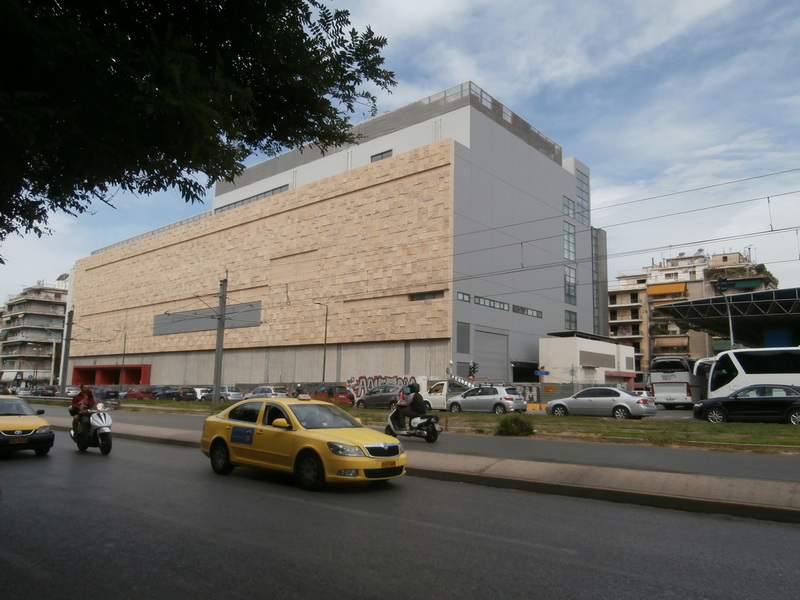 The National Museum of Contemporary Art (EMST) established in October 2000, is the sole national institution focused only on collecting and exhibiting contemporary Greek and international art in Athens. The building is located in close proximity to the center of Athens as well as the archaeological sites of the city, including the Acropolis and the New Acropolis Museum and is being serviced by a dedicated station of the Athens Metro system. The recent restoration of the building created modern facilities for the permanent collection, periodic exhibitions, educational programs, and workshops. After an international architectural competition was announced, the architectural office which won the first prize and will realize the renovation of the Fix building are 3SK Stylianidis Architects in collaboration with Ioannis Mouzakis and Associates architects LTD – studies of technical works Pan. Babilis and associates, and INSTA. 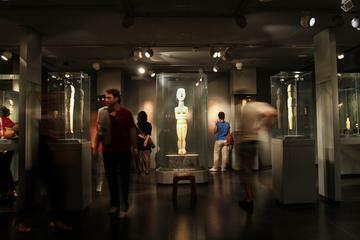 Until the return of the museum operations to the Fix building, EMST used for its sporadic exhibitions program in the spaces of the Athens Conservatory, one of the most prestigious cultural institutions and finest buildings of architecture in Athens. Strategically located to be close to Athens and all major sightseeing but also in proximity to the Stavros Niarchos Cultural Center, we highly recommend NLH FIX Neighborhood Lifestyle Hotel. Rated as exceptional by Booking verified reviews, just steps from the National Museum of Contemporary Art and 400 m from the New Acropolis Museum, and 90 m away from the Syggrou-Fix Metro Station, the hotel offers modern and elegant suites with free WiFi and views over the surrounding area. Fitted with Coco-mat mattresses, every suite at NLH FIX includes a 40'' Smart TV with satellite channels, a Nespresso coffee maker, a laptop safe and a working desk. Each unit also includes a private mosaic bathroom with rainfall shower, hairdryer, slippers and free toiletries. Guests can choose among a 9-option breakfast menu that comes to their suite in a box. 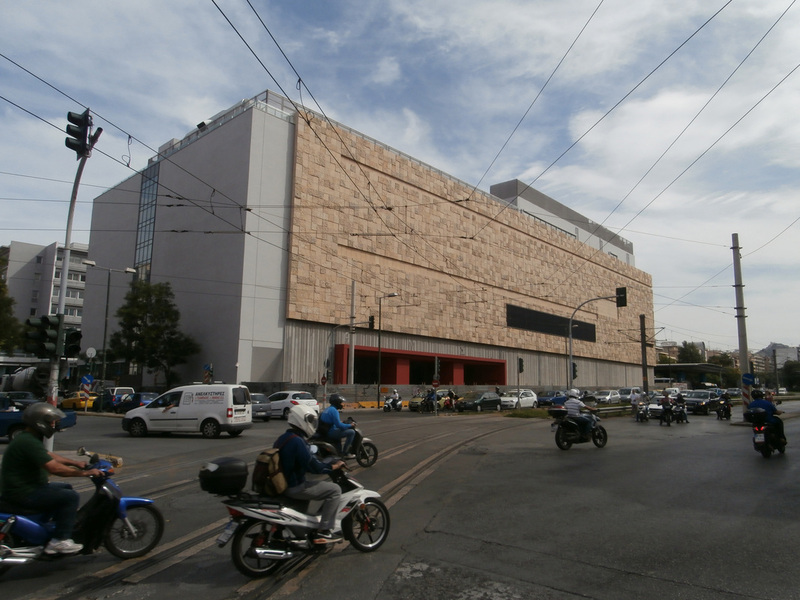 Another view of the National Museum of Contemporary Art, Athens.